A San Benito man admitted to shooting his wife to death in front their teenage son in November 2017. 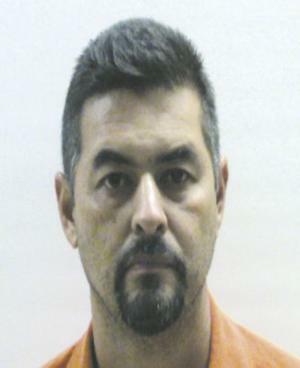 Alvaro Mata Jr., 40, entered a guilty plea Tuesday in front of 197th state District Judge Alfredo Cordova after reaching a plea deal with the Cameron County District Attorney’s Office that asks the judge to consider sentencing him to between 20 and 50 years. Mata shot his wife, 36-year-old Jessica Cortina, in the chest in front of their son early on the morning of Nov. 14, 2017. 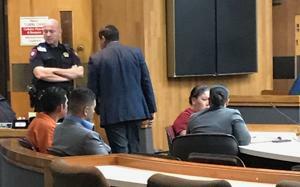 Cortina, who was a special programs teacher at Wilson Elementary School in Primera, ran into her 17-year-old son’s room asking for him to call 911 because his father was going to kill her, Cameron County Sheriff Omar Lucio said at the time. Authorities said at the time that Cortina was dead when officers, responding to the domestic violence call, arrived at the home. Mata, who wore a suit and shackles, did not say much during the court hearing other than answering Cordova’s questions about whether he understood the consequences of his plea agreement. Cordova ordered a pre-sentence report to assist him in determining Mata’s sentence. That hearing is scheduled for Feb. 28 and will likely include testimony from both the defense and the Cameron County District Attorney’s Office. After the hearing, Mata’s Edinburg-based attorney, Orlando Jiménez, spoke to reporters on the third floor of the courthouse explaining that Mata decided to take a plea deal before jury selection, which was scheduled for Tuesday morning. Jiménez said Mata also considered his family and Cortina’s family in deciding to take a plea deal and avoid trial. Cameron County District Attorney Luis V. Saenz said he found Mata’s reasoning to be self-serving. “I find Mr. Mata’s statement to be totally self-serving. He should have thought about that when he was pulling the trigger and murdering his wife and the mother of his children,” Saenz said. Jiménez said Mata is sorry for killing Cortina. After Cortina’s death, Harlingen school district Superintendent Art Cavazos said the entire school district was grieving the loss of a beloved teacher. Mata has remained in the Cameron County Carrizales-Rucker Detention Center in Olmito on a $10 million bond.